I feel I have been a pro-active member of BATOD, particularly in recent years in the roles of BATOD East committee member and BATOD East NEC rep, contributing to the sustainability of the group in the Eastern region. I am very proud of my input as BATOD East Chair in 2017/2018 and the teamwork that led to a very successful regional BATOD conference. Regardless of a relocation to Northern Ireland, changing my career focus from Head of Specialist Teaching Services for a Local Authority, I have been committed to BATOD and have already joined the BATOD NI committee and accepted their NEC rep role. The roles with BATOD, my previous career profiles (throughout which I retained an active Teacher of the Deaf role with children/young people, families and professional partners) alongside previous volunteer roles for an NDCS local group committee and on-going academic studies have supported me in understanding a wider aspect of deafness. These varied roles have also assisted me in developing my precising skills for minute taking to capture and retain the essence of the discussions in a concise manner. I would like to undertake the role of Honorary Minuting Secretary to contribute to the work and smooth running of the BATOD Steering group whilst extending my learning of the functions of a steering group. I wish to be considered for election to the NEC, having previously served as a member and having been actively involved in the work of the NEC for several years. I have represented BATOD on many occasions including at NFER, Ofqual and at The Communication Trust Consortium meetings and have reported back to the NEC on the proceedings, as well as presented information to students about BATOD and the benefits of becoming a member. At a local level I am Chair of BATOD North and continue to work with the committee to run events and promote the work of BATOD in the North Region. I have also been involved in the supervision of students on Teaching Practice in the area. My particular professional interests in Early Years and in language development have been reflected in the work I have undertaken for BATOD and I hope to be able to continue to represent members by my continuing involvement on NEC. I enjoy being part of the NEC and look forward to meeting up with all the representatives at the meetings. As I am a number of years post-qualification, I feel that the experiences I have gained, in my role and the people I have met along this journey have helped develop my knowledge and understanding of the ToD role, how it is changing and the difficulties we are all facing. Also as I have now taken on the role of Chair of BAEA, it will be good to continue working together and supporting each other as our aim in supporting deaf children and their Teachers of the Deaf remains our joint focus. I qualified as a Teacher of the Deaf in 2006 and have worked in a variety of roles including Teacher in Charge, Peripatetic Teacher of the Deaf and Teacher of the Deaf at the National Deaf CAMHS inpatient service in London. 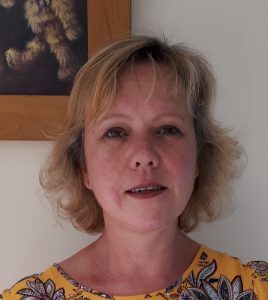 I am currently working as a freelance Teacher of the Deaf/SSP, supporting Deaf students in HE alongside undertaking a Masters qualification in Inclusive Practice with the Open University. I am currently the BATOD South secretary and have the privilege of being the South’s representative on the NEC. As a member of the NEC, I have sought to represent and promote the needs of regional members at a national level. I have been part of several subgroups over my time including the redevelopment of the BATOD website and current membership of the group organising the national conference. As my time as regional representative comes to an end I am keen to continue my involvement on the NEC and seek members’ support in this. 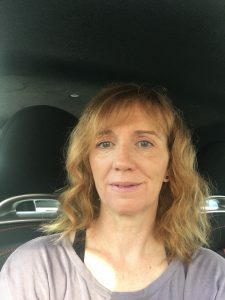 After experience as a mainstream and special needs teacher in a secondary school then in primary and nursery education, Liz qualified as a Teacher of the Deaf in the early 1990s. She has been a member of BATOD since the early 90s with involvement in the South region and the Midland region and currently in the East. In her role as assistant commissioning editor for the BATOD Magazine she works on alternate Magazines collecting articles on the focus topic, enabling contact across a wide range of experienced ToDs. 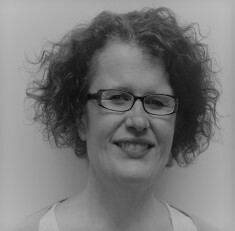 Liz is also the exhibitions co-ordinator for the annual BATOD Conference. As a Teacher of the Deaf she has worked in a special school, a unit and as a peripatetic teacher in two different counties. 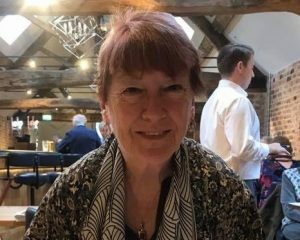 The scope of her experience has been further enhanced by her work for two cochlear implant programmes and included research and conference presentations both in the UK and Internationally. She is currently employed as an Educational Audiologist and Assistant Team Leader for the Virtual School Sensory Support in Norfolk. 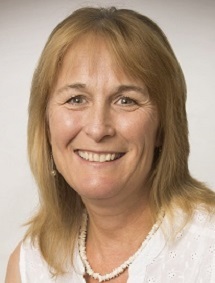 A firm advocate of the specialist role of the Teacher of the Deaf within the education system because of her varied experiences, Liz is also aware that this specialism has to be versatile to work within and alongside other organisations for the benefit of the children we serve. 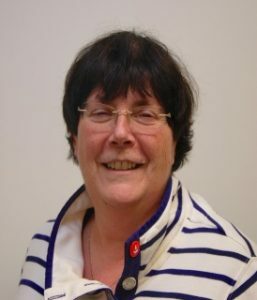 She sees liaison and representation, together with positive action, as important aspects of the role of the NEC to carry forward the profile of our specialism and to serve the children with whom we work in order to fulfil the new ways of working as the education map changes. In order to meet the needs of the future Teachers of the Deaf, BATOD continues to need strong and committed professionals in all areas of the profession. Liz served a number of years on NEC as a member of the Audiology Committee where she worked hard to represent her colleagues. 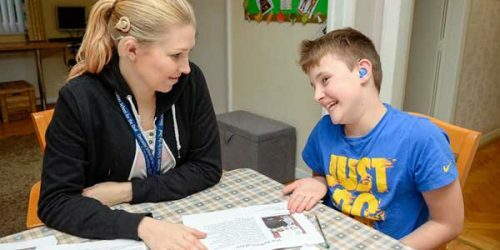 Liz believes understanding technology is a skill ToDs need to embrace as assistive listening devices become more complex and as we educate our Deaf children for a future dependent upon technology. She hopes to continue to represent the interests of colleagues both within NEC and on the national committees where she represents BATOD. 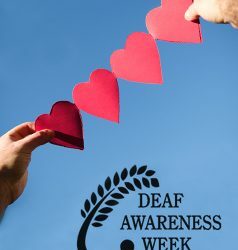 Deaf children are very dear to my heart professionally and personally. I qualified as a ToD following the birth of my twin daughters, both of whom have a hearing loss, one profound bilateral, the other profound unilateral. I care deeply about our profession and the specialist role of the ToD in ensuring babies to adults are able to thrive in the most appropriate educational setting, whatever their level of hearing loss and the challenges, life throws their way. In my current role as Programme Leader on the MA Deaf Education (ToD) course, Leeds University, and previously as Education Coordinator, The Ear Foundation, I am involved in training ToDs, other professionals working with our young deaf population and a range of national strategic initiatives. As a profession we need to be clear about and articulate what we bring to the classroom and why our work is essential for the young people with whom we work. We need to ensure our practice remains current and work closely and effectively with a range of different professionals, including researchers, to ensure our perspectives and understanding are represented locally, nationally and internationally. I believe I have experience, skills and the drive to support this work. During my time on the NEC I have been involved in reflecting on and developing an infrastructure to support the development of a strong and evidence-based CPD culture within our profession. We have developed a web-based tool to record personal CPD connected with our specialist qualification. This is available to all BATOD members along with a growing body of information to support this process. I am now working with colleagues from across the sensory impairment sector to develop this tool with VI and MSI colleagues through the National Sensory Impairment Partnership and supported by the DfE. There is still much work to do in raising awareness of the need for specialist CPD both within our own profession and importantly within the wider educational community so that the knowledge and skills we bring to the classroom can inform practice. With a robust CPD and recording system in place we are now positioned to raise the profile of the ToD and ensure that we are able to collaboratively and effectively work in conjunction with mainstream colleagues to improve practice and outcomes for deaf children. I hope you will support me in my endeavour to continue this work with the NEC. I wish to be considered for re-election to the NEC after serving as a member for two years. 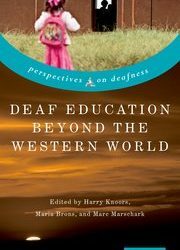 In that time I have been actively involved in the work of the NEC and have participated in discussions and consultations around the ever changing world of Deaf Education. have been privileged to be an elected member of BATOD for five years and this has given me a great insight into the organisation and see the influence and breadth of support it offers to members, the profession and to the outcomes and life chances of deaf children. I originally trained as a ToD at The University of Manchester in 2008. 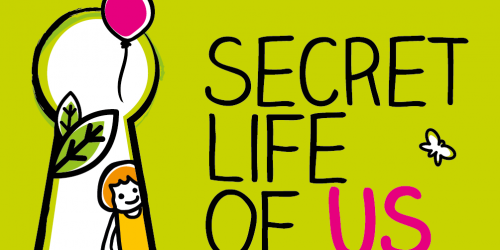 This followed fifteen years working as a mainstream teacher in secondary schools: teaching English and PSHE and also taking on the role of Senco. I currently work as a Teacher of the Deaf. My main role is working in the field of Early Years (0-2) but the children and young people on my case list range from a few weeks old to over 16 years. My interests include fostering music for babies, which is a wonderful way to help the development of speech and listening skills. I am also developing coaching and learning skills with the families I work with. At a local level I am a committee member of BATOD North and continue to work to run events and promote the work of BATOD in the North Region. It has been a privilege to serve as an elected member of BATOD for the last 2 years. It has given me an insight into the organisation and see the wealth of support it offers members.